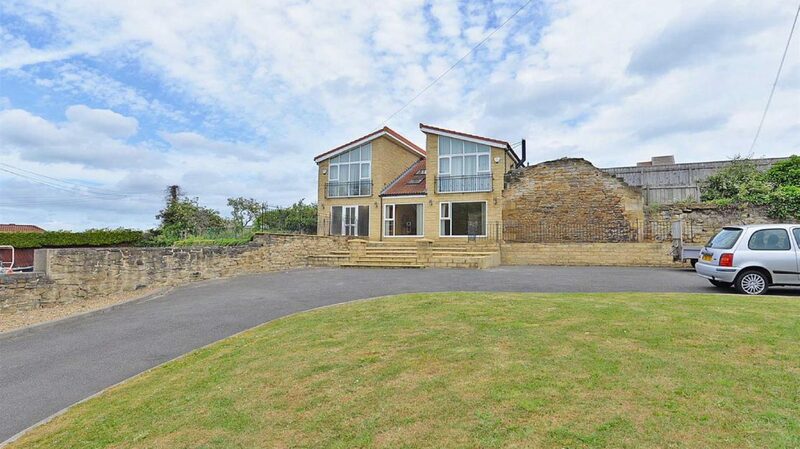 ONE OF THE GRANDEST HOUSES WITHIN HEWORTH. 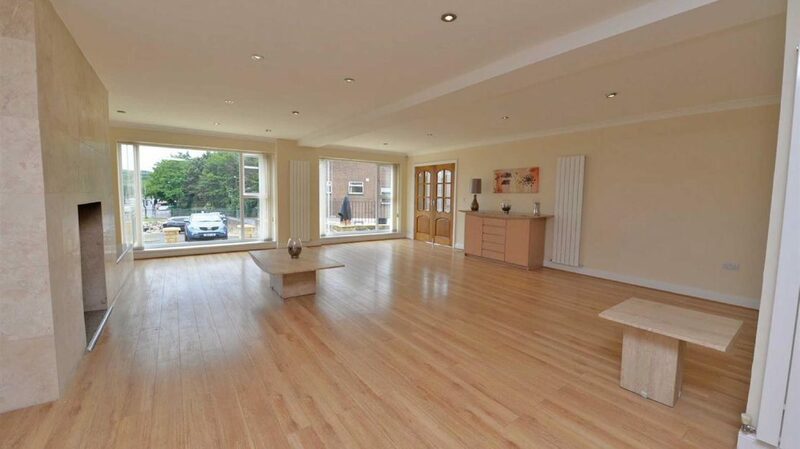 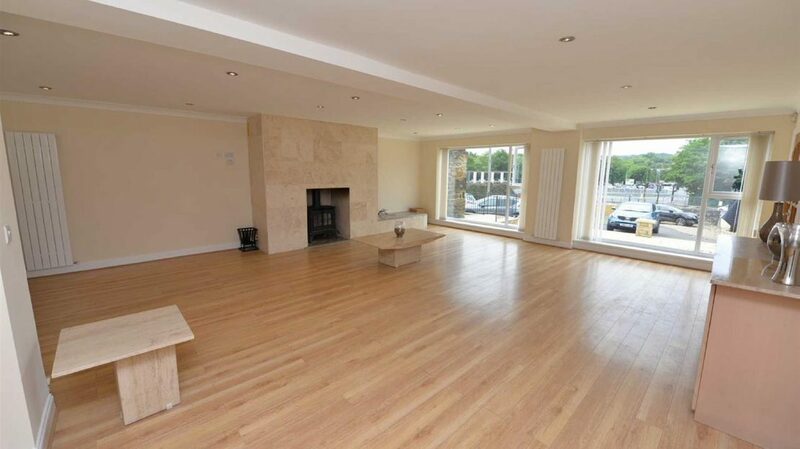 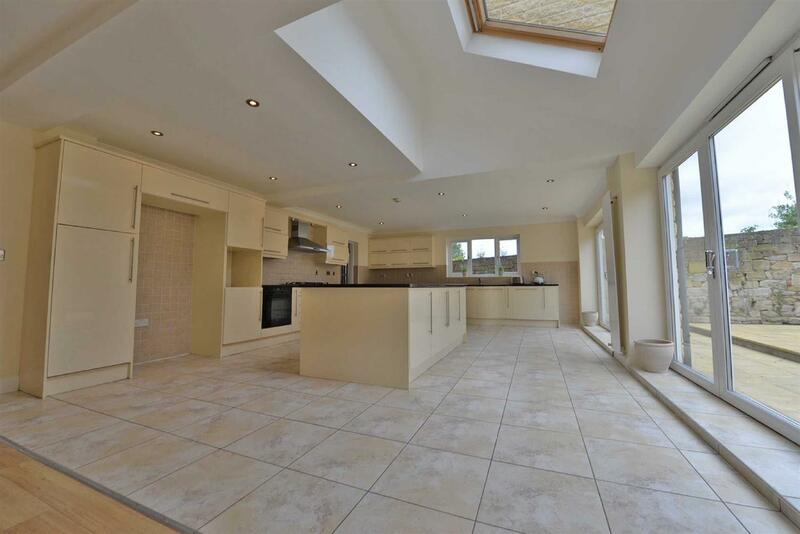 Architecturally designed, unique detached house built to an executive finish and an extremely high standard. 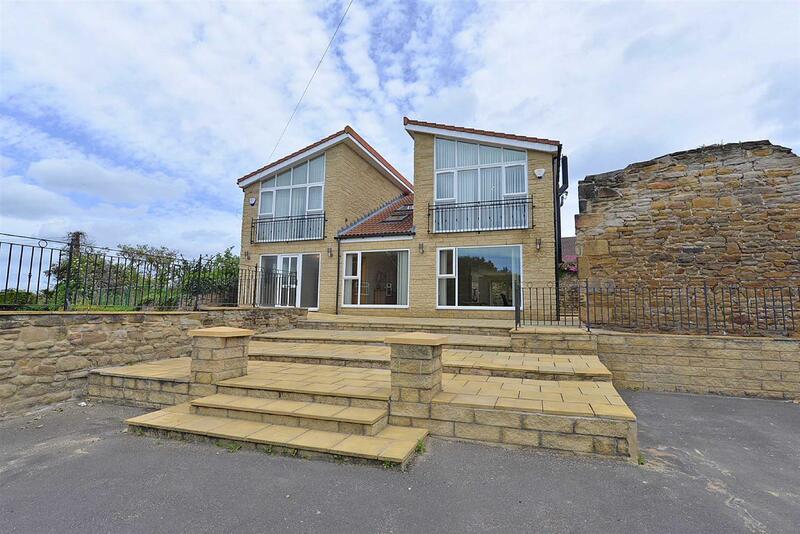 Heworth View is situated within this elevated site with a sweeping driveway leading to the front entrance. 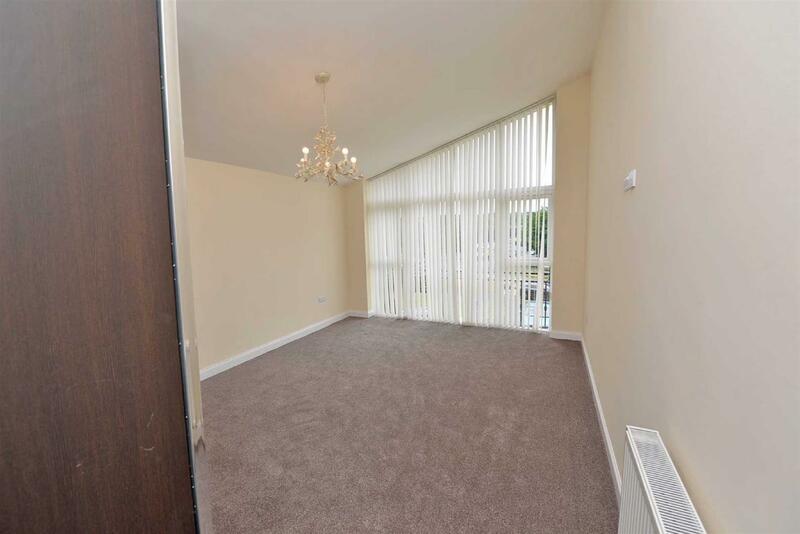 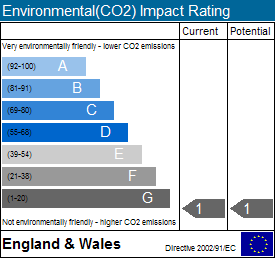 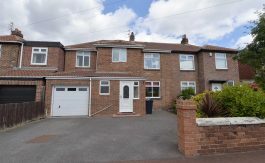 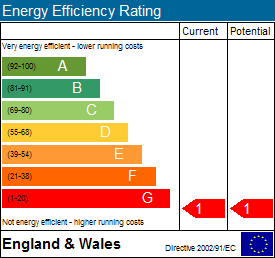 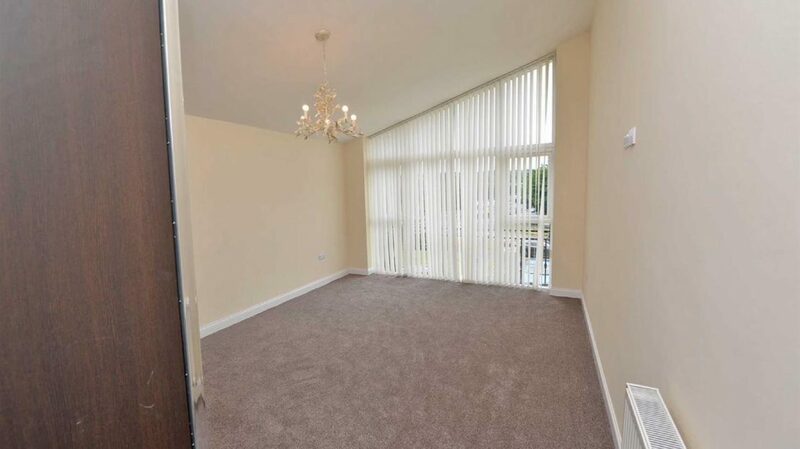 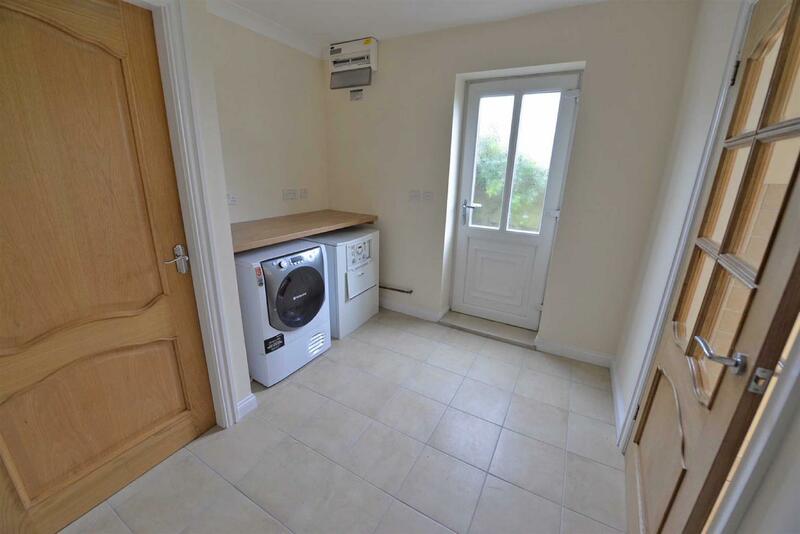 The property is warmed via gas central heating, has the benefit of uPVC double glazing and a security alarm system. 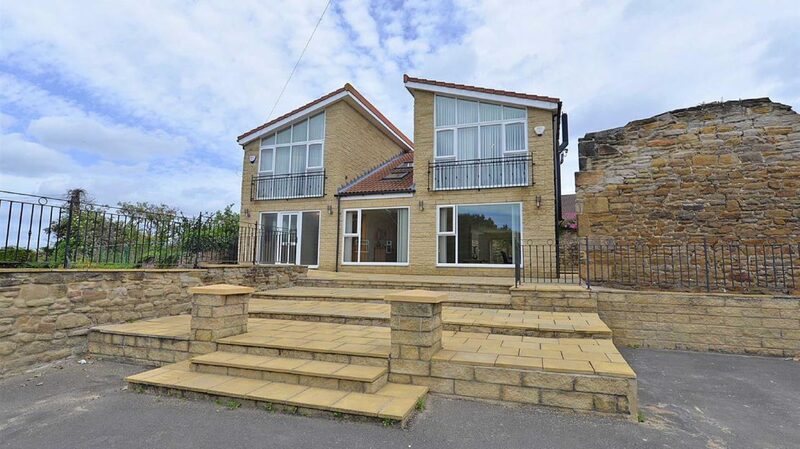 The spacious accommodation comprises: entrance hallway, cloakroom/wc, 7.1m living room with a log burning stove to the inglenook, 10.8m dining kitchen with a central island, granite work surface, integrated appliances, three sets of patio doors opening onto the rear garden, and a handy utility room. 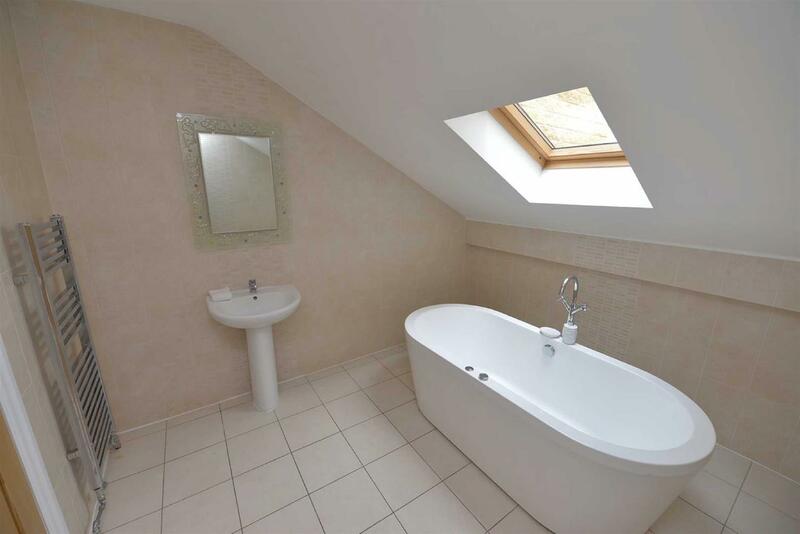 The first floor landing offers lovely views and provides access into the master bedroom with mirrored wardrobes and an en-suite wet room, four further double bedrooms, one with an en-suite wet room, and a family bathroom with a free standing spa bath. 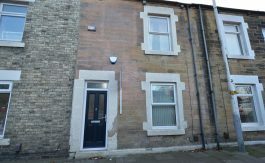 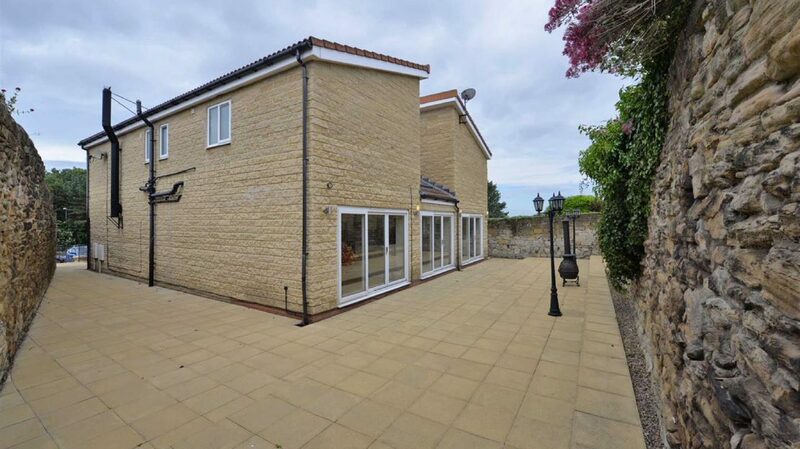 The front garden is laid to lawn and has a raised paved sun terrace and the private rear garden is stone walled, paved for low maintenance with lamp post garden lighting. 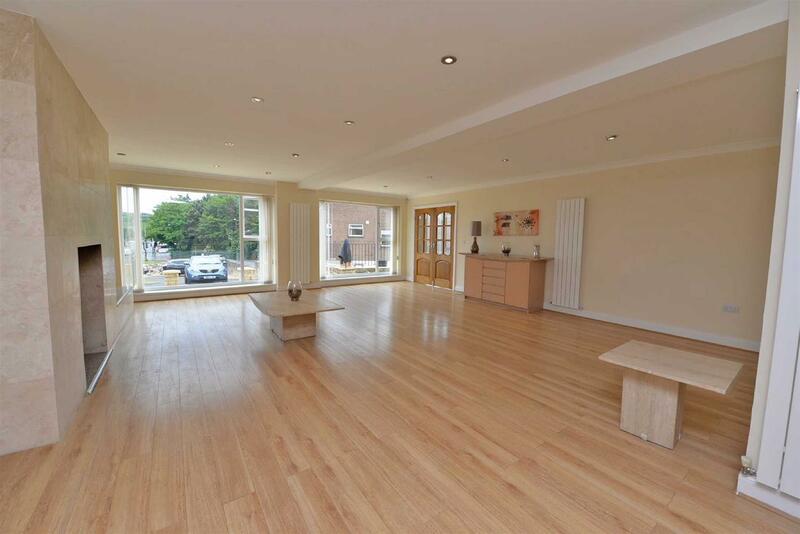 There is a gated driveway to the front of the home providing ample off street parking. 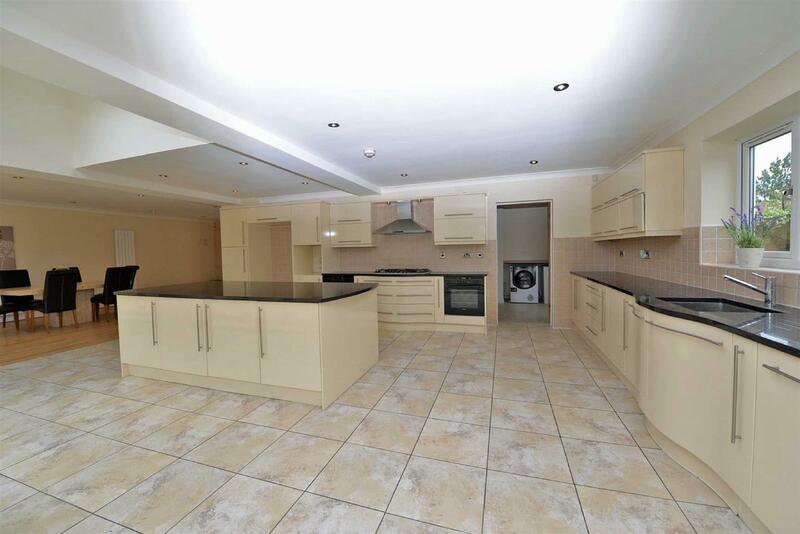 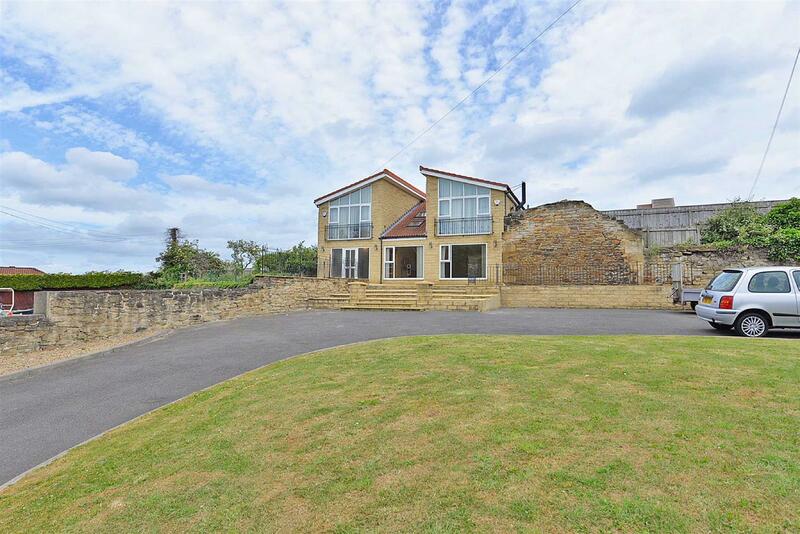 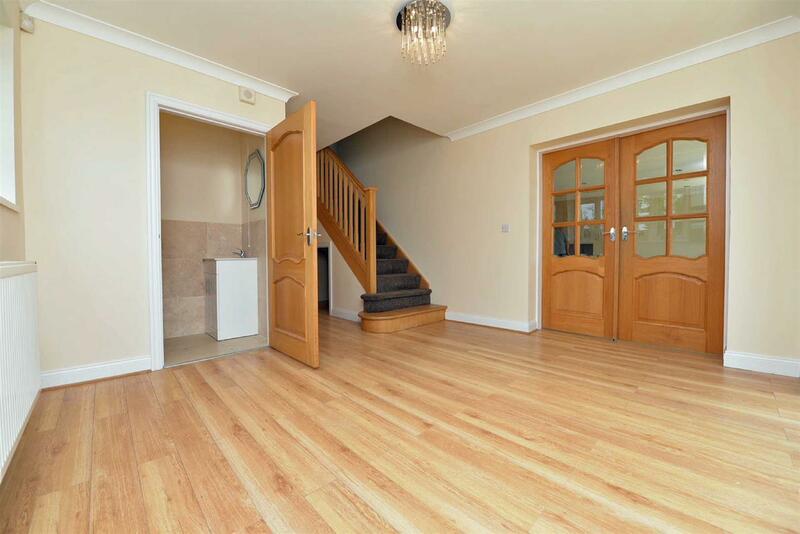 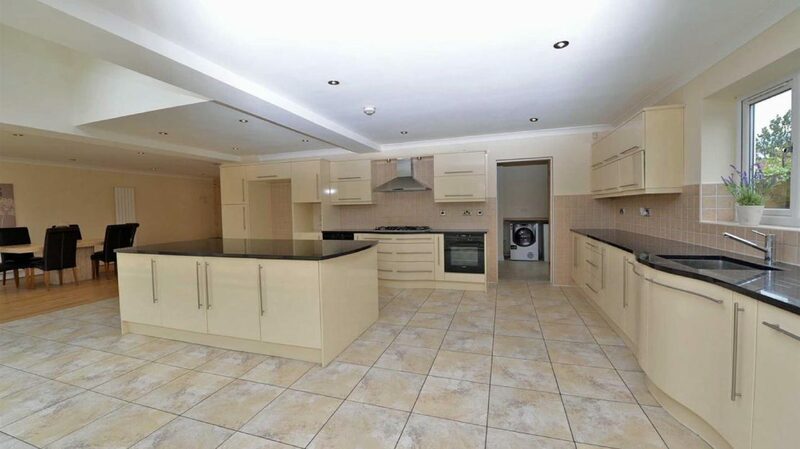 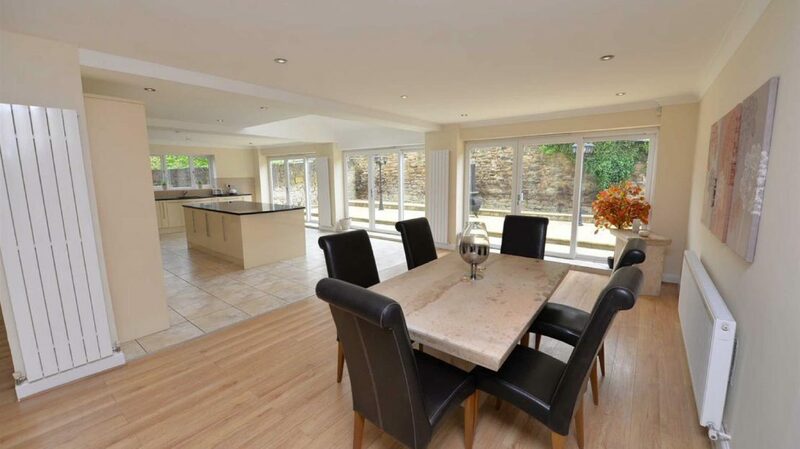 Viewings are essential to appreciate this stunning, versatile family home. 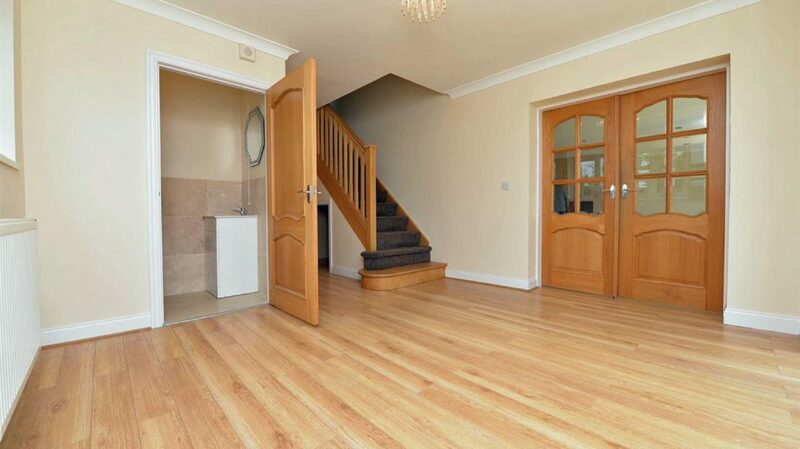 Entrance Hallway – A uPVC front entrance door opens into the hallway which has under stair storage, a window to the side and a staircase leading to the first floor landing. 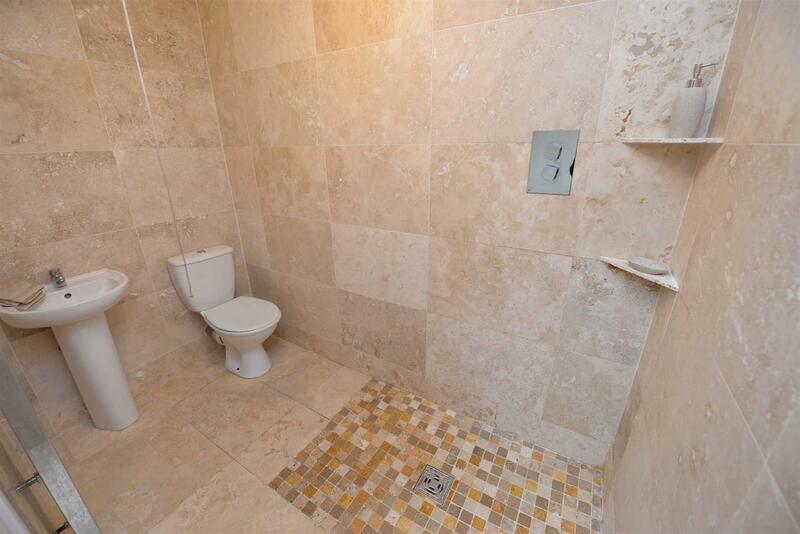 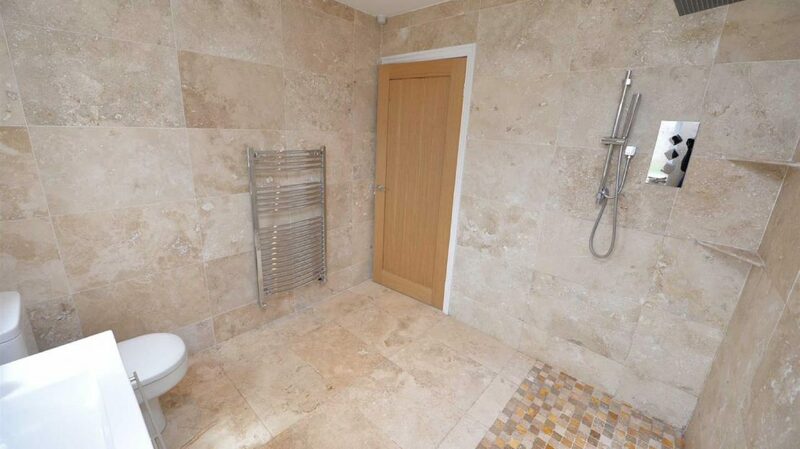 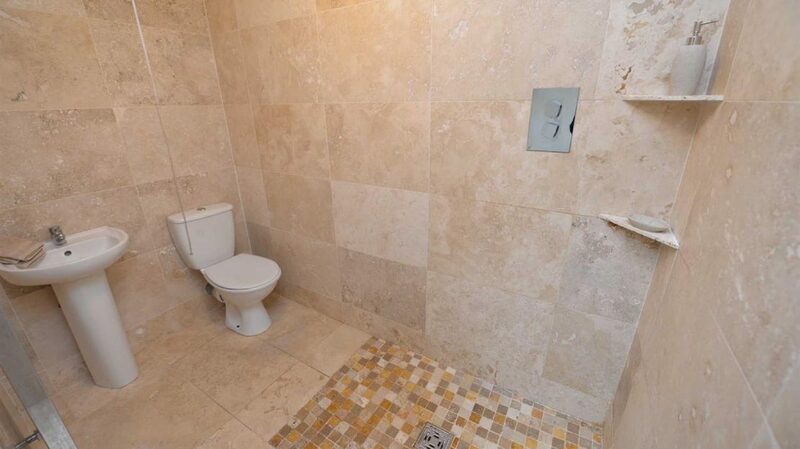 Cloakroom/W.C – Low level w/c, vanity hand wash basin, partial tiling to the walls, tiled floor and extractor. 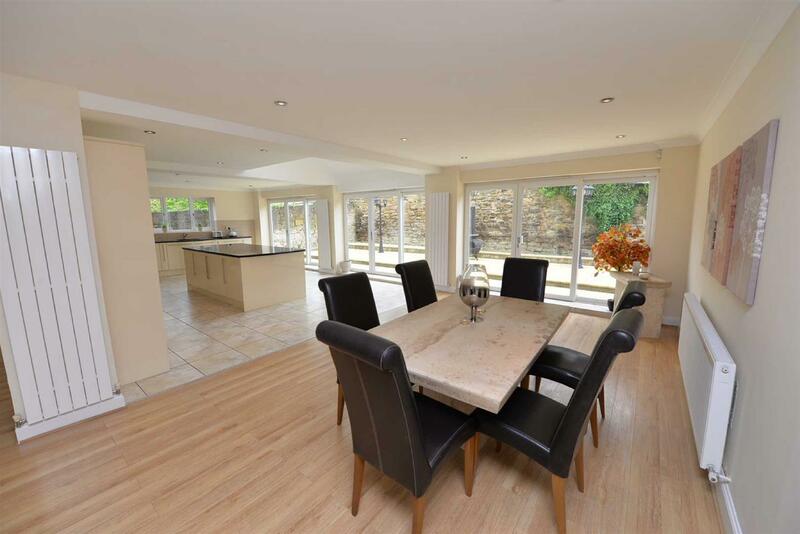 Living Room – 7.18m x 6.79m – Coving to the ceiling, integrated spotlights, log burner to the inglenook with a tiled chimney breast and granite hearth, tv shelf, two vertical radiators, windows to the front and open access into the dining kitchen. 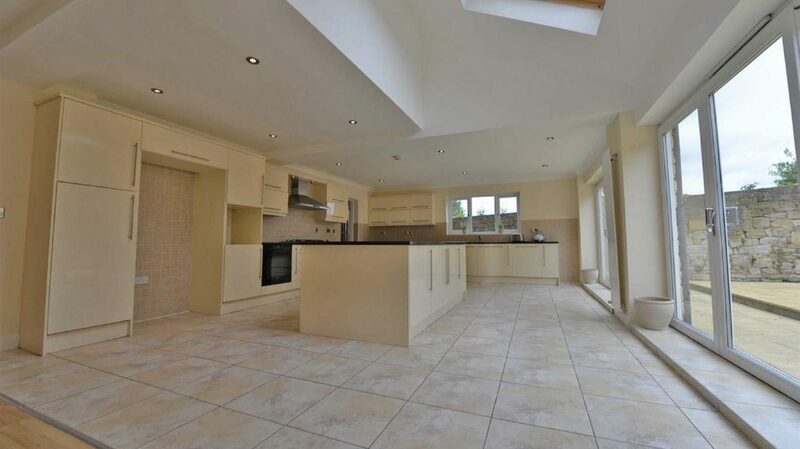 Dining Kitchen – 10.84m x 5.60m – Base and eye level units in high gloss cream finish, granite work surfaces, central island with granite surface, two integrated ovens, five burner gas hob and a chimney style cooker hood, housing for a fridge freezer, inset sink with granite drainer, integrated dishwasher, partial tiling to the walls, tiled floor, integrated spotlights, velux window to the side and three sets of patio doors opening onto the rear garden. 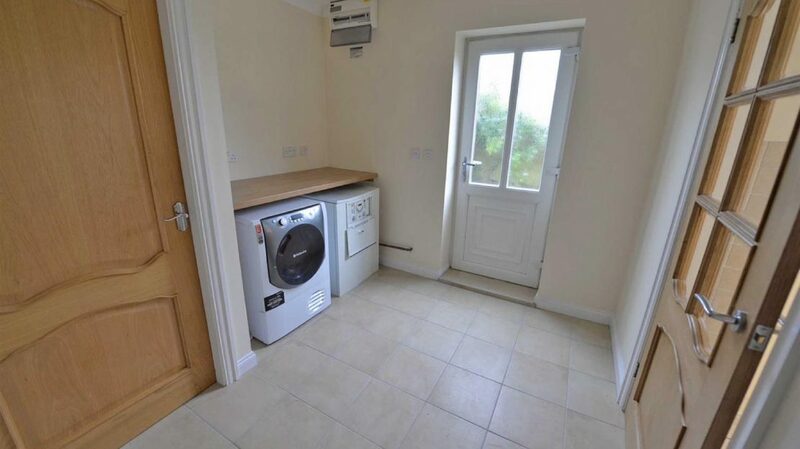 Utility – 3.64m x 2.67m – Plumbed for a washing machine, tiled floor, uPVC exit door to the side, and access into the hallway. 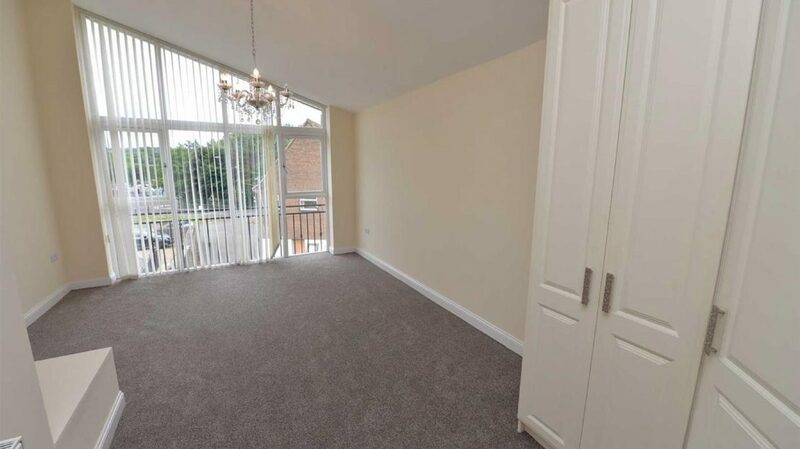 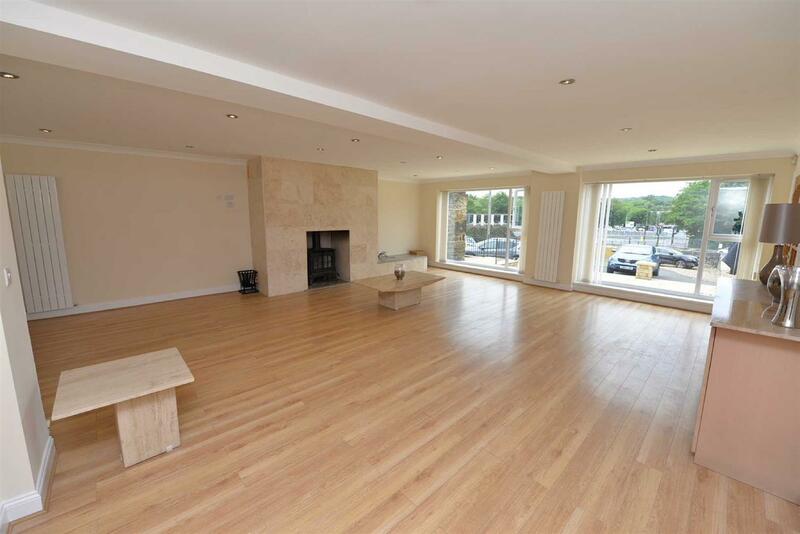 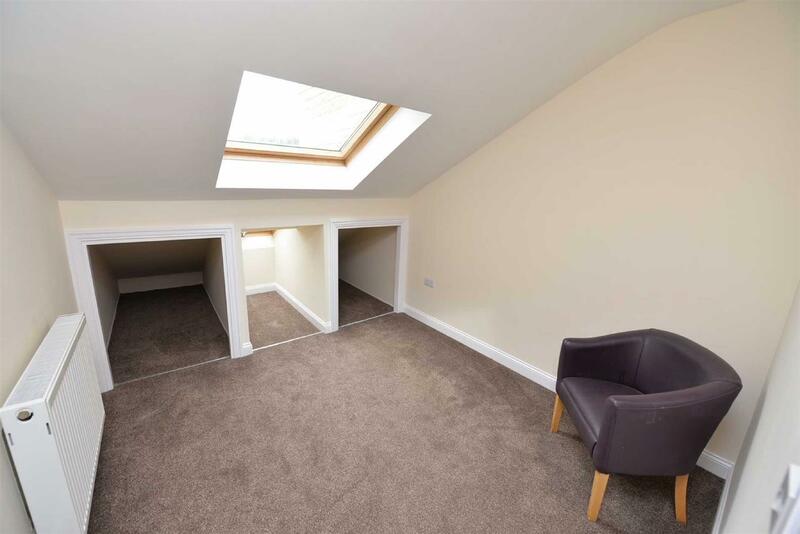 First Floor – Landing with loft access, two central heating radiators, window to the rear offering lovely views. 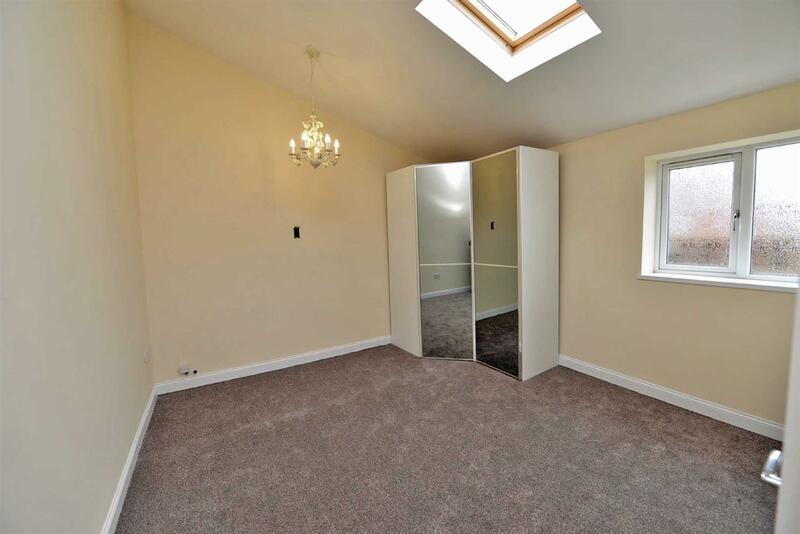 Master Bedroom – 5.21m x 3.69m – Mirrored sliding door wardrobes, radiator, window to the front with a juliette balcony and an en-suite. 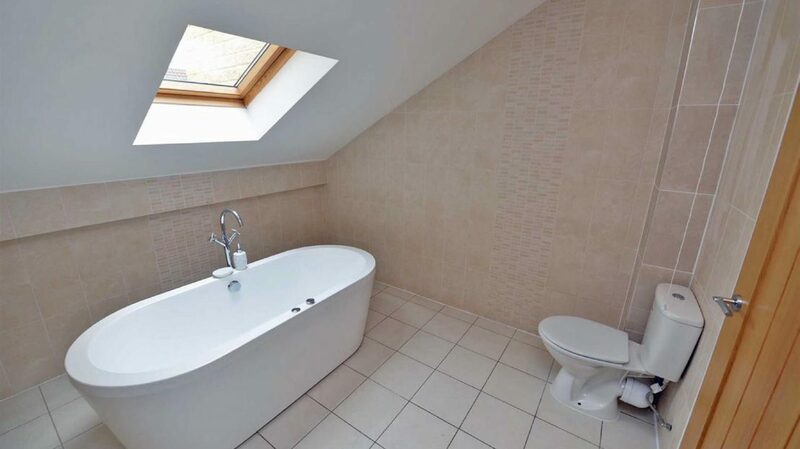 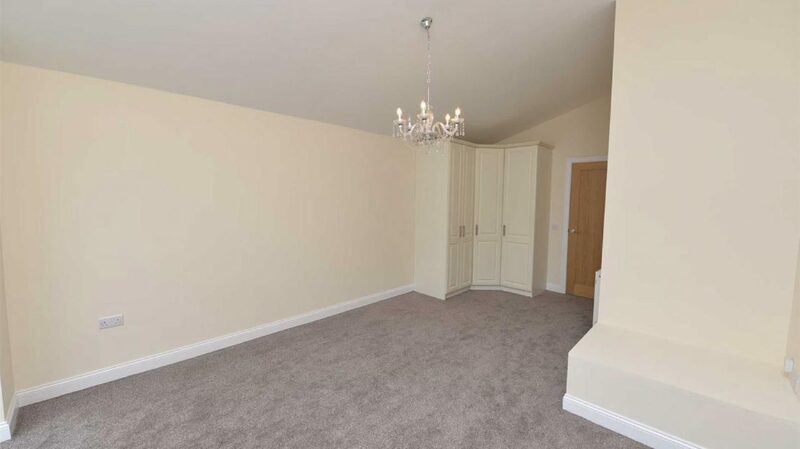 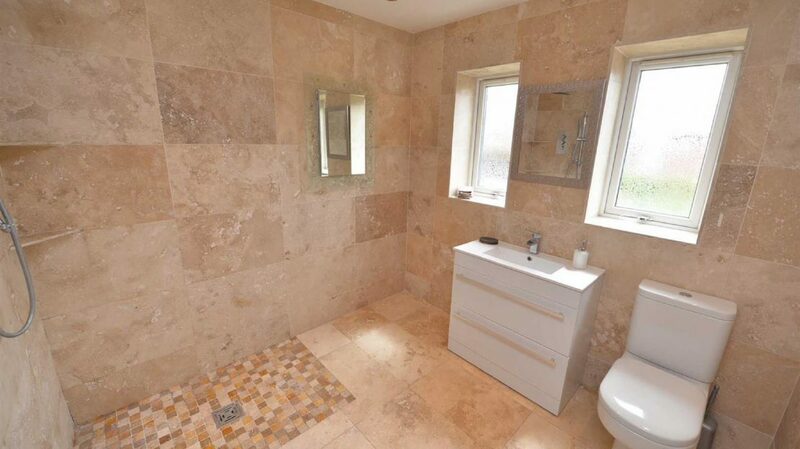 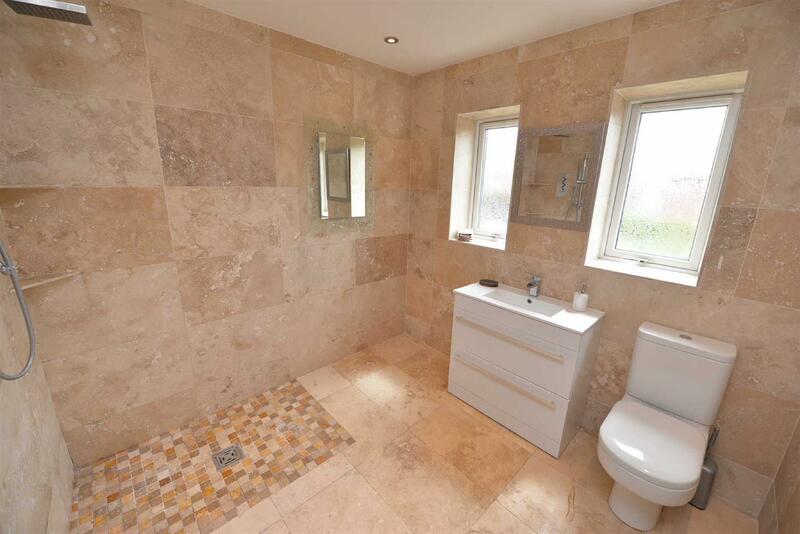 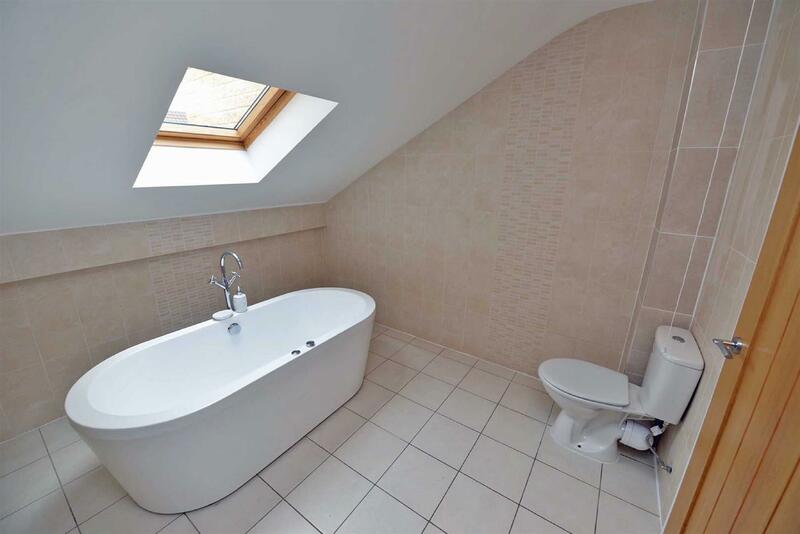 En-Suite Wet Room – 2.49m x 2.42m – Low level w/c, vanity hand wash basin, shower and rainfall shower, fully tiled, integrated spotlights, towel warmer, extractor, windows to the rear. 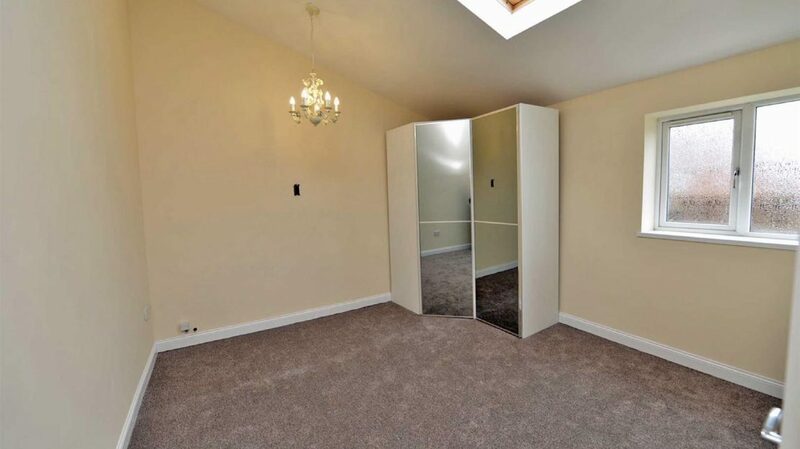 Bedroom Two – 4.25m x 3.68m – Corner robe storage unit, radiator, Velux window, window to the side, and an en-suite. 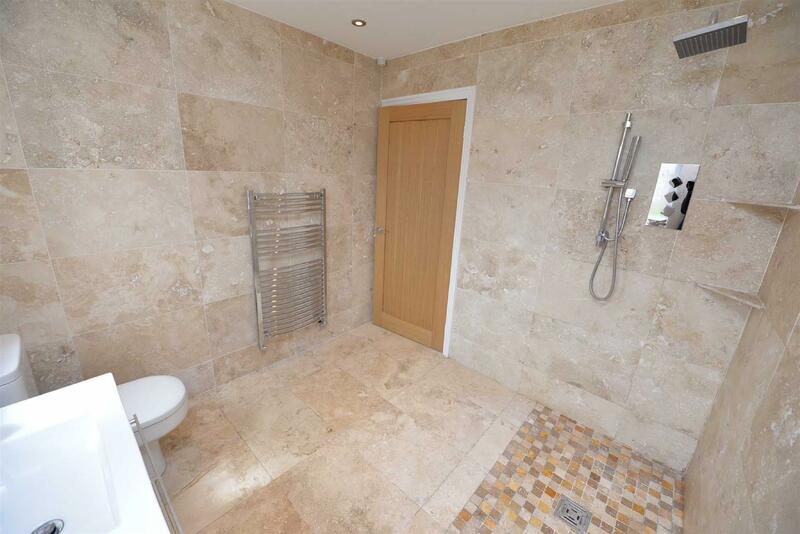 En-Suite Wet Room – Pedestal hand wash basin, low level w/c, rainfall shower, towel warmer, tiling to the walls and floor, extractor. 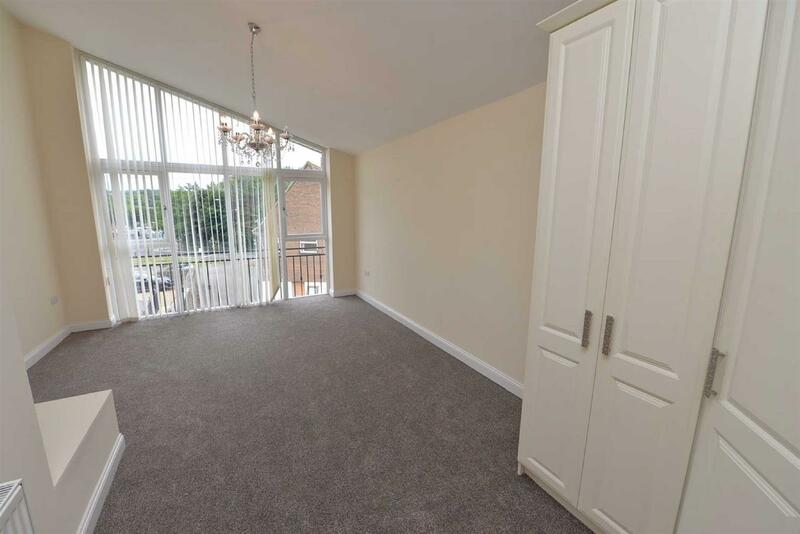 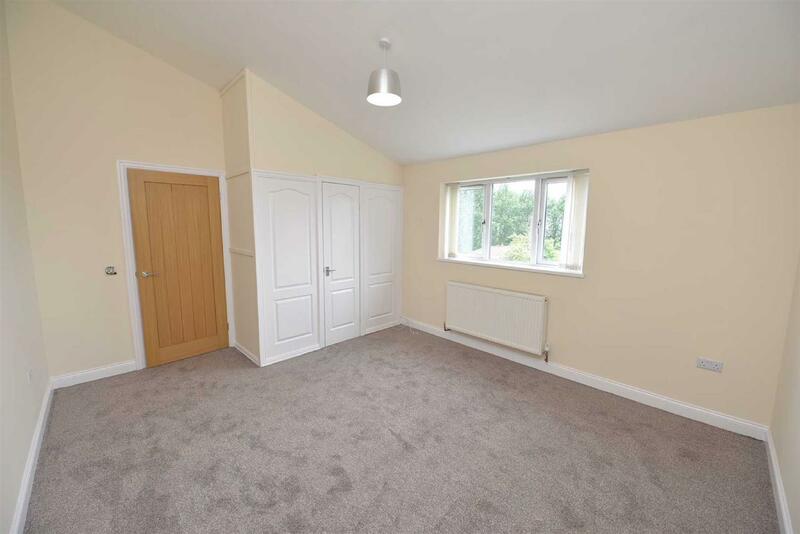 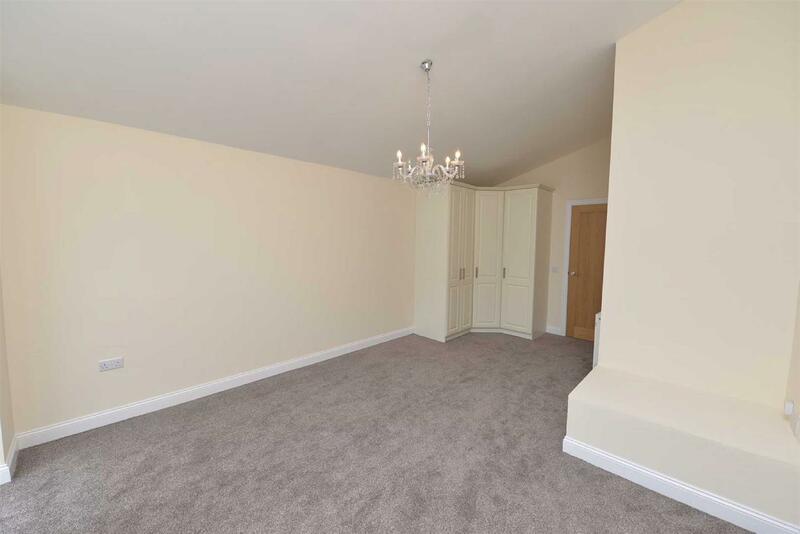 Bedroom Three – 5.95m x 3.71m – Fitted corner wardrobe, radiator, floor to ceiling window with juliette balcony overlooking the front elevation. 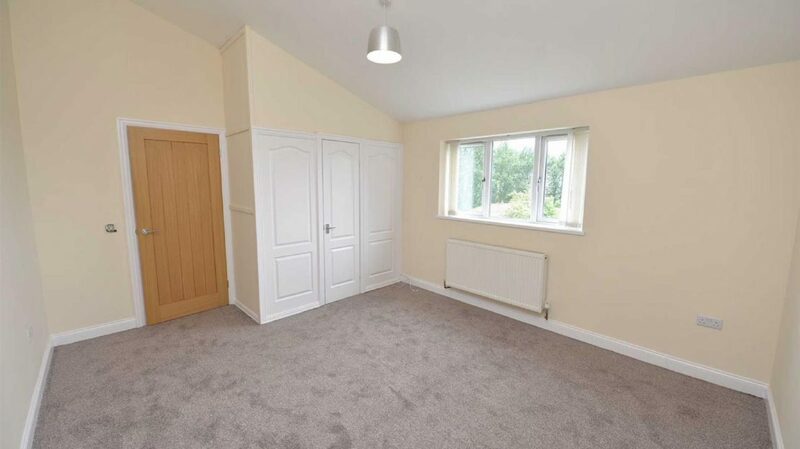 Bedroom Four – 4.50m x 3.69m – Built in storage, radiator, window to the rear offering fantastic views. 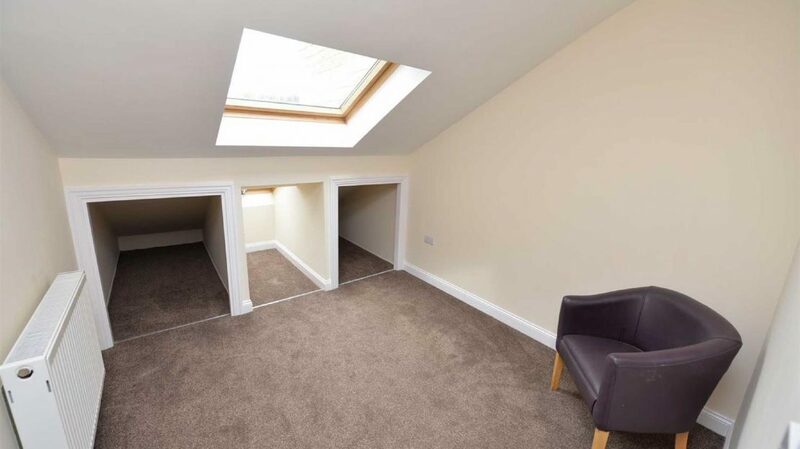 Bedroom Five – 2.83m x 2.74m – Storage to the eaves, radiator, skylight and a Velux window. 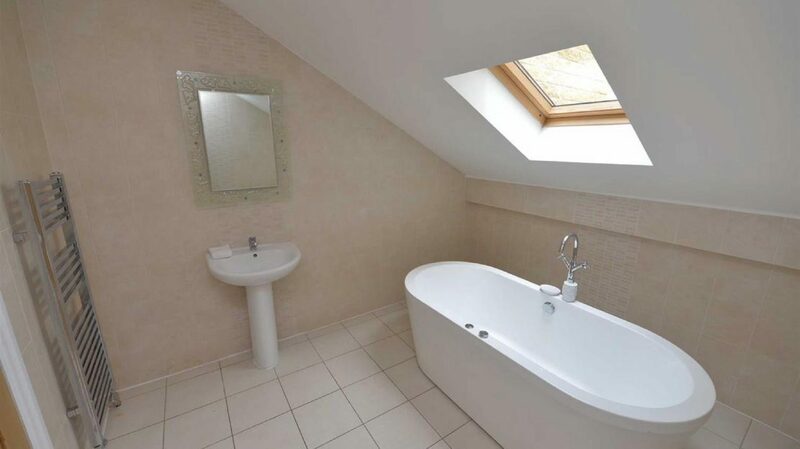 Family Bathroom – 3.03m x 2.71m – Free standing whirlpool bath with central mixer taps, pedestal hand wash basin, low level w/c, tiling to the walls and floor, towel warmer, Velux window. 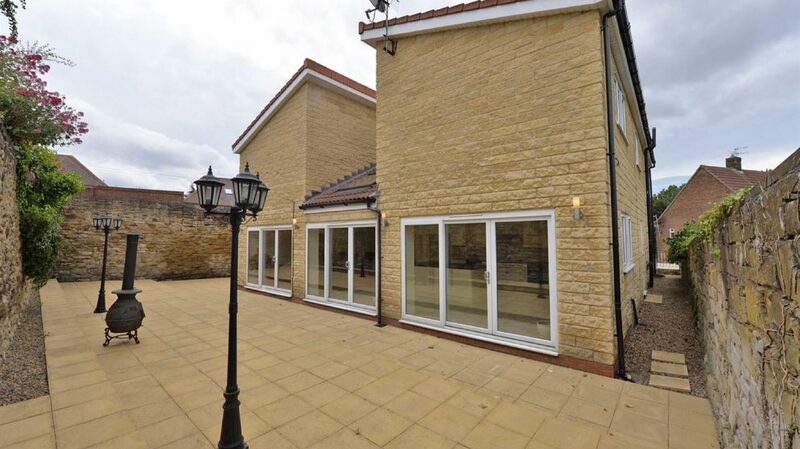 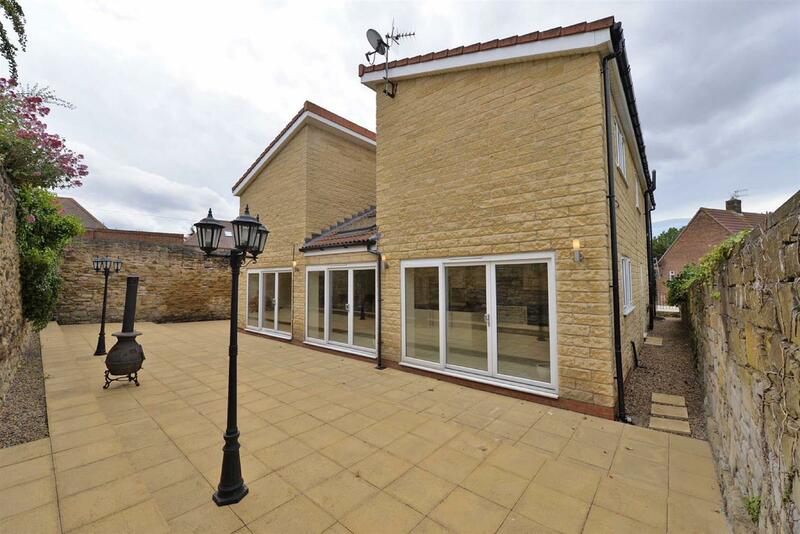 External – There is a gated driveway to the front, a lawned area and a raised paved sun terrace. 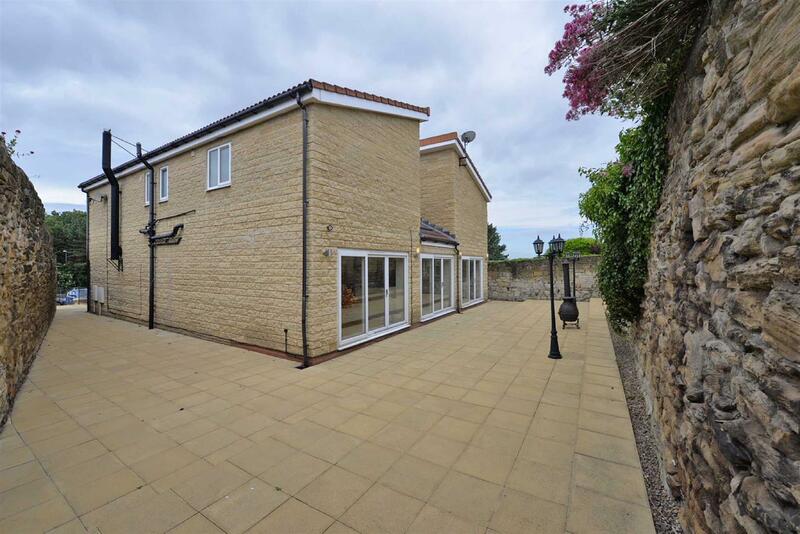 The rear garden is enclosed, stone walled, is paved for low maintenance, has lamp post garden lights and paved side access.